Most people are familiar with the old adage: ‘You can’t manage what you don’t measure’. This mantra is absolutely true when it comes to waste management too. We need to have reliable information about the types and quantities of waste that need to be managed, so that we can choose the right solutions for handling, treating, storing and disposing of them. Every 3 years, the Department of Energy and Climate Change (DECC) and the Nuclear Decommissioning Authority (NDA) fund a major exercise to produce an inventory of radioactive wastes in the UK. This is a big task and involves collecting up-to-date information on the chemical, physical and radiological characteristics of over 1,300 different waste types. The inventory presents a snapshot of wastes that we have in stock and wastes that we estimate will arise in future at a specific point in time (the “stock date”). The inventory doesn’t just include information about radioactive waste from the energy sector; it includes data about radioactive wastes produced from important industrial, medical, research and defence activities across the UK too. The last UK inventory was based on a stock date of 1 April 2013 and all of the information is available on the UK inventory website. Why do we produce the UK inventory? members of the public who would like to understand more about radioactive waste. 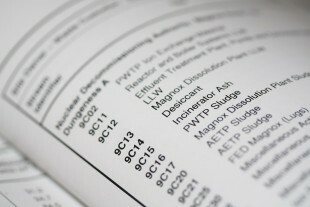 The UK is also legally required to report data on radioactive wastes at an international level. We currently submit information to both the European Union and the International Atomic Energy Agency (IAEA). 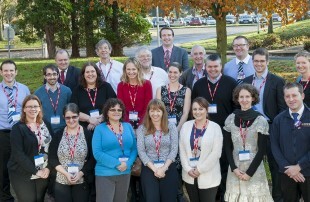 The National Inventory Forum brings together all of the people involved in producing the UK radioactive waste inventory. The forum provides a great opportunity to share best practice and develop options for improving the UK inventory. The data providers are now busy compiling information for the next UK inventory update, which will be based on a stock date of 1 April 2016. Information will be submitted to the NDA by the beginning of June. We then have a tight programme to quality check the data, produce the 2016 inventory reports and update the website. We’ll let you know when the updated information is available online.